How do you stand out on Instagram with over 800 million monthly active users? Understanding how to correctly and strategically use hashtags on Instagram paired with a killer hashtag strategy is the answer. Popular Instagram hashtags have proven to make content more discoverable on Instagram and has shown to be the most successful way to grow your following and increase brand awareness. 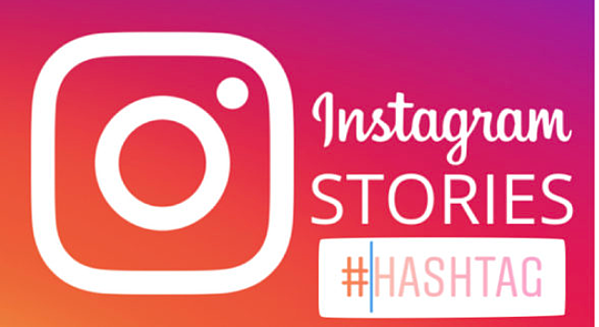 Instagram hashtags are an effective way to promote your brand and products in a friendly, authentic way without direct selling to your followers. Use our Instagram marketing tips to learn how to use branded or trending hashtags to grow your brand and crush your Instagram marketing campaigns. 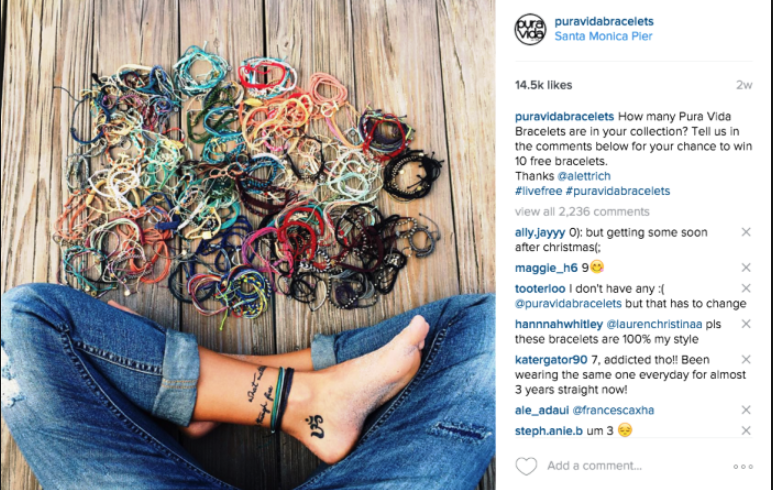 Is Your Brand Using The Right Hashtags? Make sure to choose popular hashtags that describe your Instagram account and brand closely. If you have a list of keywords you have found to be successful for SEO, paid advertising, content marketing or influencer marketing, incorporate those specific keywords into your Instagram account, Instagram stories or Instagram posts. Those keywords are also good to help search and find your most ideal hashtags. When searching for the right hashtags for Instagram, brands should avoid using gimmicky hashtags like #likeforfollow and use caution when choosing broad hashtags that have been used a million or more times. When you choose a trending hashtag that has been used over a million times, it may increase some engagement, but it may not attract your most ideal highly engaged, targeted following. Brands should be using popular hashtags that their target audience is already using and actively searching for. To ensure the most success with Instagram hashtags, make sure to use a combination of both branded and community hashtags. 70% of hashtags on Instagram are branded AND 70% of Instagram users have spent time looking up a brand on the platform. Branded hashtags are specific to your brand and products. They can contain your brand name, products or specific Instagram campaigns. If you are using branded hashtags, encourage your active Instagram followers to follow and interact with your branded hashtag to better connect with your community. 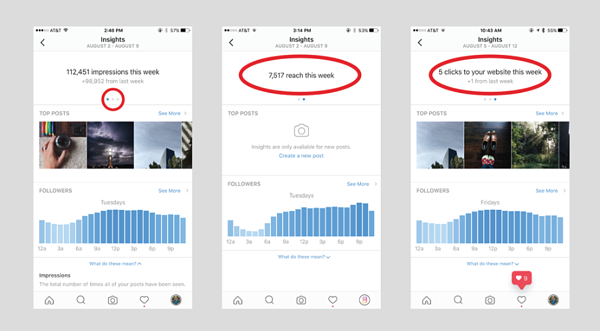 To analyze how well your hashtag marketing strategy is working, use Instagram tools and Instagram analytics to see if your brand has become more popular. Branded hashtags are a great way to engage with your most loyal followers. This is also a great place to use Instagram influencers to help market your brand and products. For example, RedBull created a #PutACanOnIt Instagram marketing campaign and it went viral almost immediately, which sparked a ton of user-generated content. This campaign received so much user-generated content and attention that it didn't cost them any money to make their Instagram campaigns successful. All they had to do was search for their hashtag and find and share the best content that users created. Which allowed their followers to do all of the work for them. These are more common Instagram hashtags that help connect other like-minded Instagram users or Instagram influencers to a specific topic instead of a hashtag that's specific to any one Instagram account, person or brand. People are actively searching for community hashtags. If you can get your content and Instagram posts to show up in the search results then you instantly get exposure to new audiences and have potential to get higher Instagram engagement. A great way to find community hashtags is to look to your industry leaders and other influential brands in your niche to see what popular hashtags they are using. Using these hashtags on Instagram gives you the opportunity to connect with more people, attract ideal followers and grow your own community. 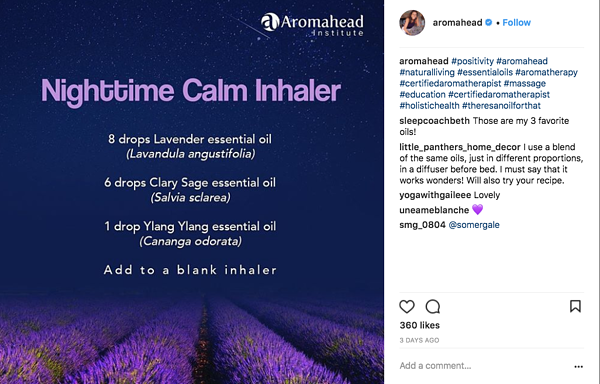 Make sure to use hashtags that describes your product or brand to help attract followers who show an active interest in related topics like Aromahead does in their Instagram post above. 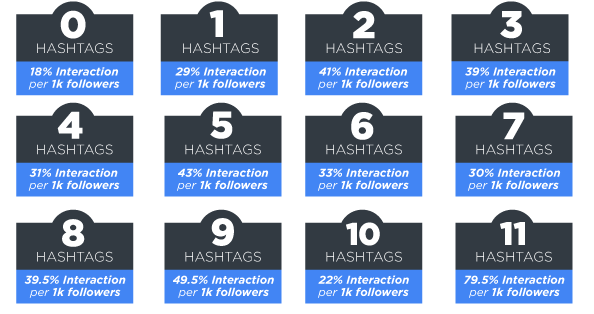 How Many Hashtags Should You Use In A Post? There's a lot of controversy on how many hashtags Instagram users should be adding to their Instagram posts and Instagram stories. Instagram allows users to add up to 30 hashtags. Instead of going overboard with hashtags, do the proper research and find the right amount of hashtags that generates the best results for you. 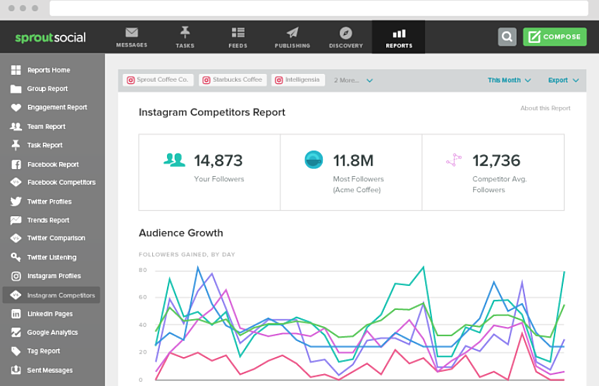 Then compare results from your highest performing Instagram posts. If you want to find out what is the most successful, track how much engagement you get depending on how many hashtags you use. With a little work, you will eventually figure out what your sweet spot is. This is a cool way to give your content another way to get discovered by new Instagram followers. If a hashtag is popular enough, users will be able to view a real-time Instagram story about the hashtag. You can add up to 10 hashtags in your Instagram story, but beware of using too many - you don’t want to overwhelm your viewers. A great way to promote your branded hashtags is to find social media influencers that will help promote your brand and hashtags. Learn more about social media influencers and influencer marketing in our blog post about how Influencer Marketing has changed the game! Don’t choose something so popular that you go unnoticed! It may be tempting to use trending hashtags that have millions of posts, but that creates more competition for your Instagram account and brand. This lowers your chances to get in the top Instagram post section. When you use popular hashtags that have been used less, you are competing with a smaller group of Instagram users, which gives users a higher chance to be seen by more people and get more loyal active Instagram followers to follow your Instagram account. The hashtag #inspiration would be extremely hard to rank for because there are over a 101 million posts for that specific trending hashtag. 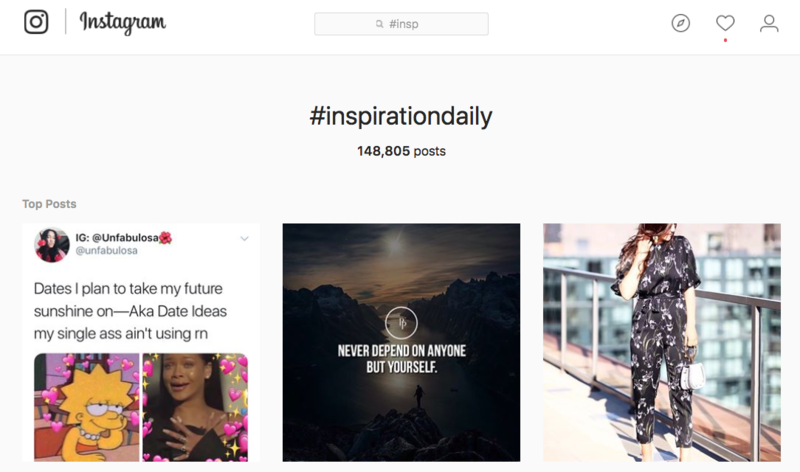 Instead you could use #inspirationdaily which only has a little over 148,000 posts. We have all heard the saying, "bigger is better," but for using popular hashtags on Instagram the smaller the better. When Instagram users begin following a specific hashtag, Instagram shows them similar suggested Instagram posts and Instagram accounts they may like to follow. The new Instagram update allows users to follow popular hashtags on Instagram and allows your Instagram post to automatically show up in the feeds of new potential followers. 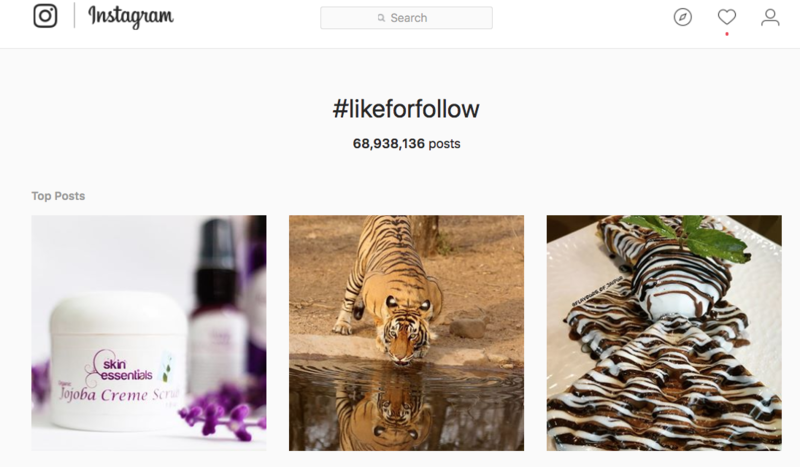 Instagrams algorithm favors the use of specific and relevant hashtags. The new update also allows Instagram users the ability to mark your hash-tagged content as something they don’t want to see in their Instagram feed. If an Instagram user doesn’t want that suggested post to show up in their Instagram feed, all they have to do is select “Don’t Show For This Hashtag” which marks the Instagram post or Instagram hashtag as not interesting or irrelevant. Based on what trending Instagram hashtags you follow, Instagram will show you a suggested list of hashtags you should follow based on your most recent engagement or interests. This is why using relevant hashtags is so important. Show your Instagram ads, Instagram stories, Instagram video and Instagram post to people who are already interested in you. Don't waste your time and resources showing it to the people who aren't. Add variation in the hashtags on your Instagram posts. While it may seem exhausting to find new hashtags for each Instagram post, it prevents the Instagram algorithm from marking your posts or popular hashtags as spam. Brands can use some of the same hashtags on each Instagram post, but don’t copy and paste the exact same list of popular hashtags to each Instagram post or Instagram story. 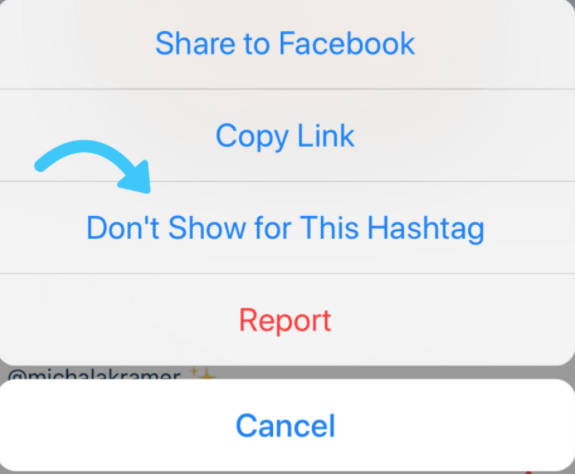 Instagram users can proactively create popular hashtag lists inside the Instagram app to make the process less time consuming. Create a Instagram contest for your followers to keep things interesting and fun so they will want to engage. In the example below, they used a creative way to encourage engagement with their Instagram following. They want to know how many bracelets followers already have in their collections and when they comment they also get a chance to win 10 free bracelets - this is a great example of social proof and it gives their followers that extra incentive to engage! Write descriptive captions - storytelling helps generate more social engagement and promotes social sharing. Use CTAs (call-to-action) to tell people what you want them to do with your posts. Find clever ways to get people to share your content. 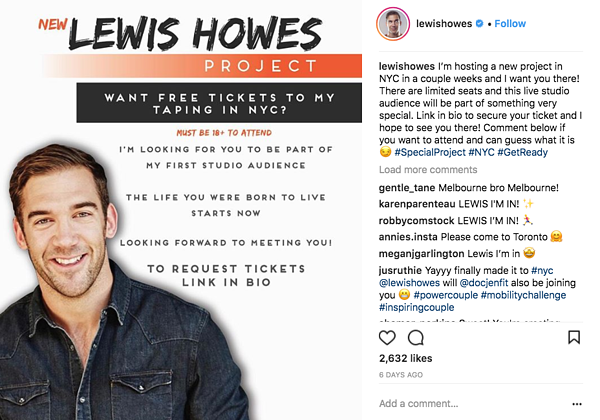 Our client Lewis Howes, does a great job showing his Instagram followers exactly what they should do if they are interested in his offer. If his Instagram followers want to request free tickets to his taping in NYC, all his followers have to do is click the link in his Instagram bio. If you are using an Instagram business account, you have the ability to analyze how each individual post is performing and see how other Instagram accounts are growing over time. With Instagram for business, brands on Instagram have the ability to explore and develop new hashtag marketing strategies and see exactly how they are performing. You can see if each post is effectively reaching your goals (whether your goal is to attract new audiences, get more engagement or attract people to your brand). By being strategic about which hashtag you use and proactively checking the insights of each post, you will see a trend in which posts and hashtags are most effective and get the best results. By using industry-specific hashtags and using Instagrams analytics users can get the most up-to-date news on any competitor and stay current with the most popular hashtags on Instagram. Select the post you want to see the statistics for and click “View Insights” on the bottom left of the post. There are also many other tools that will give you a more in-depth overview of how your social media is performing. 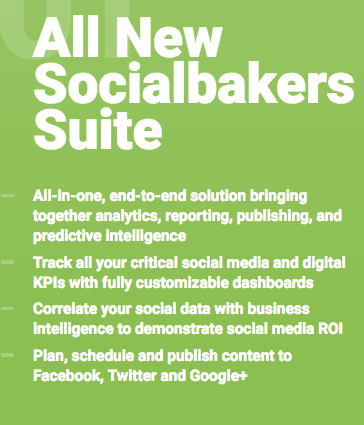 One we have found helpful is SocialBakers. Research top competitors and see which hashtags they are frequently using on their Instagram accounts. If your competitors are using specific hashtags on the majority of their Instagram posts, then there is obviously a reason they continue to use those specific hashtags. Make sure to look at their most successful posts and see what type of content they share and what trending hashtags they are using. Sprout Social has a Instagram Competitors Report to show who your competitors are and what hashtags they are most frequently using. When you are actively trying to grow your Instagram Following with Social Media Marketing Strategies, it is imperative to track and analyze your efforts throughout the entire process. If you don’t properly track your data, you will never know what actually is generating results or what’s not working. We hope our Instagram tips and Instagram marketing strategies help guide you to success. Please let us know if we missed anything! We would love to hear from you! What Instagram Strategy are you using? Have you had any success with Instagram Marketing? Leave us a comment below!